(ISVMA) Faculty of Information Systems, Visualization, Multimedia and Animation - University of Information Science & Technology "St. Paul the Aposle"
If you are interested in the field of computer animation, visualization, design, computer graphics and much more, the faculty of Information Systems, Visualization, Multimedia and Animation is the right place for you. By choosing this faculty, you get the opportunity to show your creative talent and become an expert in what was previously your hobby. Moreover, you can continue your career with different research activities, since many of the topics in this field are not yet developed and explored enough. 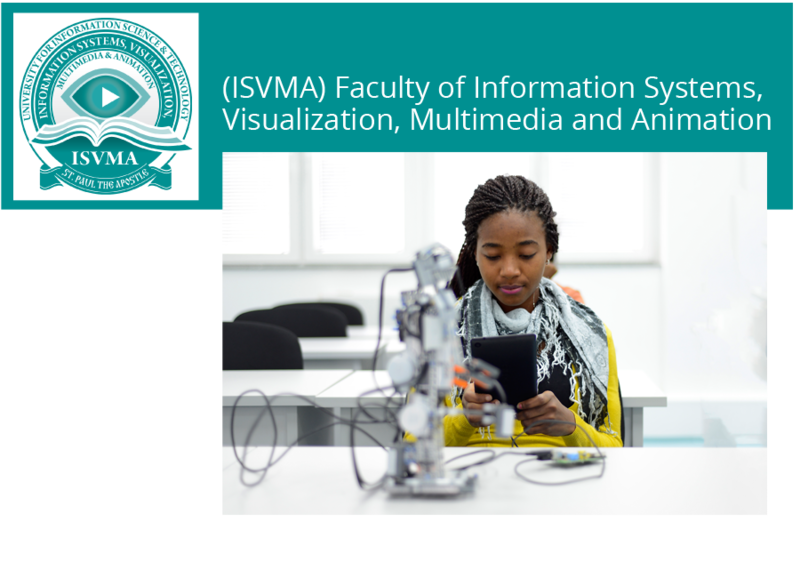 In the faculty of Information Systems, Visualization, Multimedia and Animation, you will learn about computer graphics, visualization techniques and methods, interaction design, animation techniques, pattern recognition methods, and much more. Since this is a very creative field, many of your talents will be improved during your studies here. By graduating at this faculty you get a degree in the field of Information Systems, Visualization, Multimedia and Animation according to the length of your studies. That gives you the opportunity to work in the field of computer graphics, design, or animation, or you can work on many research activities, especially in the field of design and information systems. Since the field of visualization and systems is relatively new in computer science, it opens many opportunities for activities that will have an impact into its improvement. Let us give you the needed skills, so you can turn these opportunities into your advantage. Don’t drop this chance. After completion of 3 years of studies, with at least 180 ECTS credits, students will get a degree of Bachelor of Engineering in Information Science and Technology in the field of Information Systems, Visualization, Multimedia and Animation. After completion of 4 years of studies, with at least 240 ECTS credits, students will get a degree of Bachelor of Science in Information Science and Technology in the field of Information Systems, Visualization, Multimedia and Animation.